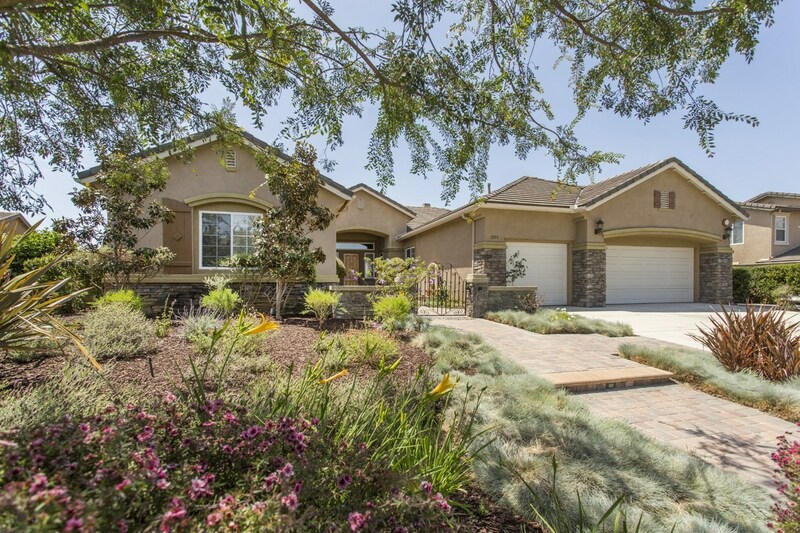 Spacious Single Story with Panoramic Views in Sage Canyon Ranch. Huge Usable Quiet and Private 20,000 sq.ft. lot on cul-de-sac with walking paths, scenic viewing areas, Koi pond, garden and fruit trees including lemon, lime, navel orange, tangelo and grapefruit. Kitchen has Granite counters, maple cabinets, built-in desk and hickory engineered wood floors which extend into the Family Room with an Entertainment Center, stone fireplace with custom mantel. Potential for RV parking., Rare combination of a luxurious and spacious single story on a large usable nearly one-half acre lot with Panoramic Views. Local cable is Cox. Schools are Twin Oaks Elementary, Woodland Park Middle and Mission Hills High. California State University San Marcos and Palomar College are located nearby.